The Finnish diplomatic and consular missions abroad have the responsibility to advise, guide and help the consular service recipient to handle matters independently. 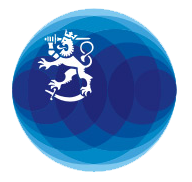 The missions also provide assistance to Finnish nationals in distress abroad. What do consular services include? help a person who becomes ill, or is an accident or crime victim, to obtain medical care and other immediate assistance required by the situation. help persons in emergency and crisis situations, and persons deprived of their liberty, to make contact with the next of kin. grant a temporary passport for the return trip in place of a passport that has been lost, stolen, destroyed or has expired (NB. honorary consulates cannot issue a passport). advise on how to obtain money through a bank or other money transfer service. transmit funds to assist those in distress. make contact with an insurance company in the event of illness or death. act contrary to the law of the host country. perform tasks belonging to other authorities. pay hotel, hospital or other bills, fines or bail. pay the expenses incurred by hiring a lawyer or an interpreter. give guarantees or make financial commitments. act as a lawyer or legal advisor. intervene in court proceedings or demand a specific court decision. release an arrested or imprisoned person. Honorary consulates’ possibilities to provide assistance are limited, nor for instance can they grant a passport. If there is no Finnish diplomatic or consular mission in the destination country, assistance can be obtained from the diplomatic missions of the other Nordic countries and, outside the European Union, also from the diplomatic missions of other EU Member States.